As I write, there are just 24 hours to go to this year’s Aldeburgh Food and Drink Festival. For us festival-goers it’s a day out but the producers who man the stalls will have been slaving for weeks to make sure they’ve got enough product to sell and hoping it flies off the stands. The chefs have been planning their demo menus and rehearsing what they’ll say when they’re up on stage. And don’t get me started on the people who organise it. They’ve been working towards this since the end of last year’s festival. For food lovers, festivals are bliss. Where else can you find all of your region’s best food and drink producers in one place, along with some of the country’s top chefs showcasing their recipes and skills? 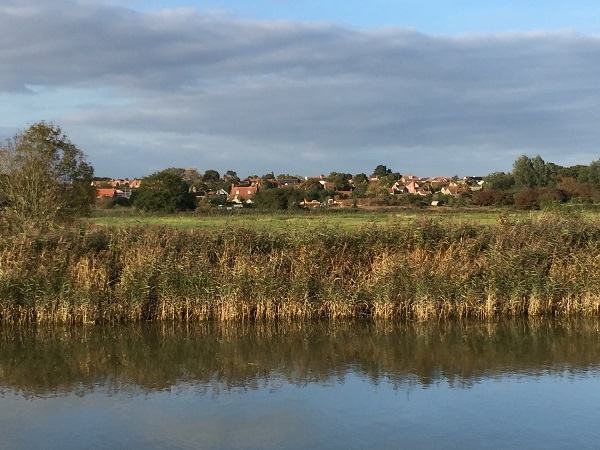 And in Aldeburgh’s case, with the stunning backdrop of Snape Maltings, the River Alde and the marshes? 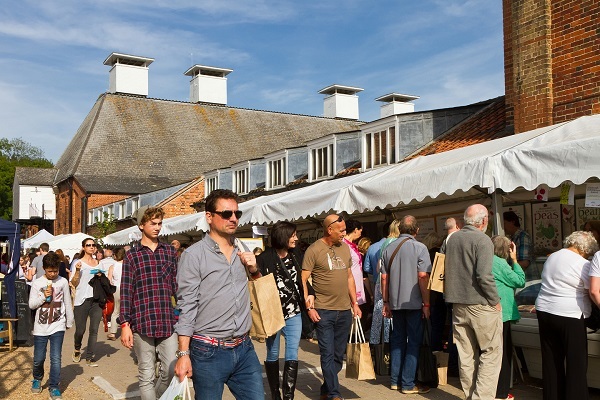 This is an unashamed plug because I live here and I’m biased but I think Suffolk’s food festival, while one of the UK’s Big Three, is special both for its location and for its localness. That’s a clunky word but after all, the festival was set up in the first place to showcase local producers and it does it well. One of the founders, food campaigner Lady Caroline Cranbrook, says: “The food festival has been very important in many different ways but particularly in that it has produced a virtuous circle. [It] makes people aware that we have a lot of very good food; they start buying very good food; then you get the local pubs, the restaurants, the cafes realising that it is an asset to be able to say we have lamb or beef or tomatoes or cheese produced locally; and as the demand increases it then produces more opportunities for the producers to expand their businesses and for new ones to start up. 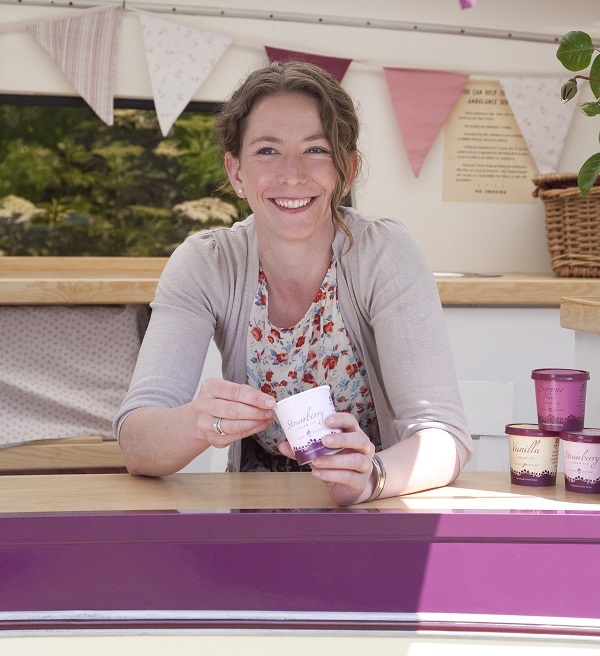 “So these food festivals are the nursery for small food producers but also are very important for another reason: that they expose the producers to a larger audience. And we do have people who come here from some of the larger shops in London and elsewhere looking for new products.” Suffolk brewers Barrell and Sellers, for instance, made their debut last year and now their beer is stocked by Fortnum and Mason. The festival was also instrumental in setting up Suffolk’s Young Producers’ group, a mix of new businesspeople and second- and third-generation farmers and food producers whose innovative ideas have garnered them a huge amount of attention and column inches. There are too many of them to name-check individually here but check out Jonny and Dulcie Crickmore from Fen Farm Dairy (raw milk, butter and cheese), Lucy and Emily McVeigh from Kenton Hall Estate (Longhorn beef), and Stephany Hardingham of Alder Tree (divine fruit ice cream). Then there are the visiting chefs. Regulars Thomasina Miers and Galton Blackiston are joined this year by Anna Hansen, Olia Hercules, Sarit Packer and Itamar Srulovic from Honey & Co, Jose Pizarro, Anna Hansen, Dhruv Baker, Tim Kinnaird, Luis Troyano, Tim Hayward and Rosie Birkett. If at least one of those names doesn’t get you salivating at the thought of their food, your taste buds have upped and died. 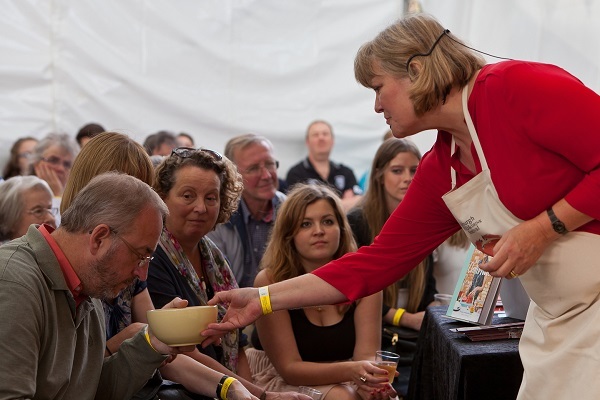 There are demonstrations, workshops, master classes and book signings too. The festival is celebrating its 10th birthday this year and without it, I am convinced we wouldn’t have the sheer number of quality food producers that amazed me when I first moved to Suffolk and continues to wow me today. I’ll be doing some compèring again this year and – without wishing you overdose you on saccharine – I consider it a privilege to be involved. Happy birthday, Aldeburgh Food and Drink and (I devoutly hope) many, many happy returns. This entry was posted in Producers, Thinking aloud and tagged Aldeburgh Food and Drink festival, Aldeburgh food festival, Caroline Cranbrook, Suffolk Young Producers by Linda Duffin. Bookmark the permalink. Beautiful and inspiring, wish I could be there. Have a lot of fun and even more great food, Linda – don’t hold back. Thanks, Nicole. Day 1 has been fabulous – loads of brilliant chefs (Jose Pizarro is my new crush) and our fab local producers. I bought so much food someone had to be deputised to help me carry it back to the car. And we get to do it all again tomorrow. Hurrah! Wonderful, hours of happy reading and cooking. ¡Salud ! Treasure this festival. From the way you’ve described it, it sounds a true feast compared with the slimmer versions I’ve attended locally so far. And if you have a starring role, so much the better! Thanks, Margaret. You should trek down for it one year, it really is a lovely do. I’ve come home with so much good food, all lovingly produced. And the chefs’ demos were great fun and informative too – always something new to learn.